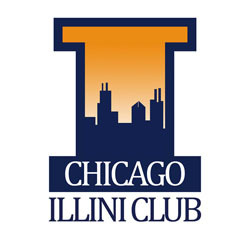 UIUC alumni celebrated the Chicago Illini of the Year Awards winners at the University Club. See the photos here! Check out photos from the 2014 Chicago Illini of the Year Awards celebration, which recognize the accomplishments of Chicago-area U of I grads. This year’s honorees were Stephen D. Bardo ’90 LAS, college basketball analyst for ESPN, Big Ten Network and Fox Sports 1; and Carrie J. Hightman ’79 LAS (FINANCE), executive vice president and chief legal officer for NiSource Inc.
Read more about the 2014 Chicago Illini of the Year Award recipients at uiaa.org.